Before the start of the game, the 12 players for Mono Vampire heading into their game against the CLS Knights were introduced. Fans were expecting the absence of Singletary who was suspended for a flagrant unsportsmanlike foul in the previous game against the Saigon Heat. What they weren’t expecting was to not hear Moses Morgan’s name or to not see him on the Mono Vampire bench. The Mono Vampire rode on a strong start, especially from surprise starter Sorot Sunthonsiri, to a back and forth affair in the first quarter before the CLS Knights took advantage of their size difference and ran away with the win. There was still no sign of Morgan whether he was injured or suffering from a sickness during the game. It was later confirmed after the game that Morgan had been released from the team prior to the start of the game. Morgan had played in 8 games for the Mono Vampire Basketball Club who went 1-7 to start the season. The Thai-American averaged an ABL-career low 10.8 points and 30.9% from the field. He was also averaging career-lows in minutes played (30.8 MGP) and field goal attempts (12.1 FGA/G), as well. The 4-year ABL veteran has never averaged more than 18 points in a season and was shooting 31.4% from downtown this year. 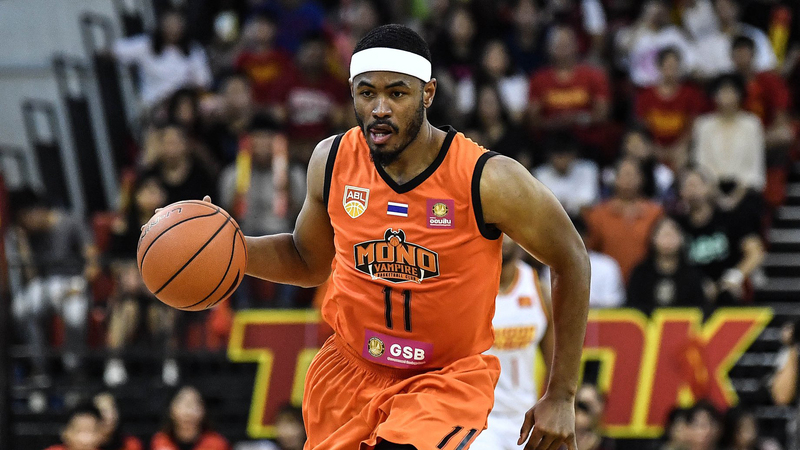 Morgan started the season with a 20-point outing against the Macau Black Bears which saw him make 5 three-pointers and more recently made 3 three-pointers in an 11-point game against Hong Kong Eastern. Both games were losses for Mono Vampire. Towaeroj made 3 three-pointers in the loss to the CLS Knights, all in the second half and two in the final quarter. Mono Vampire started the game 2-8 from downtown in the first half and ended the game 6-29 (20.7%) in total. Moses Morgan was contacted after the game and explained that he was told “the team wanted to release [him]” and that “it was a hard decision”. Because of the recent changes to the player classification rules of the ASEAN Basketball League (ABL) this season, Morgan is considered a “local player” for the Mono Vampire Basketball Club and did not count towards the 3 Import player quota. Teams do have a quota for the amount of local players they can register in a season, which Team Manager Saekow mentions to have “two spots remaining”. Saekow concludes that the team had already made attempts to sign Thai-American Tyler Lamb who has played in the ABL for 3 seasons, but Lamb is still committed to another team. ← Is it time for Mono Vampire to press the panic button?